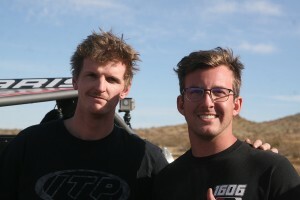 The race got off at exactly 10 a.m. and from the get-go, the Cognito Team of Mitchell Alsup (Driver) and Drew Stanton (Navigator) – Polaris XP Turbo, Cognito Motorsports-sponsored, never looked back. But it was while pre-running for BITD’s Vegas to Reno race, that Blais suffered a terrible accident that broke his back and left him paralyzed. 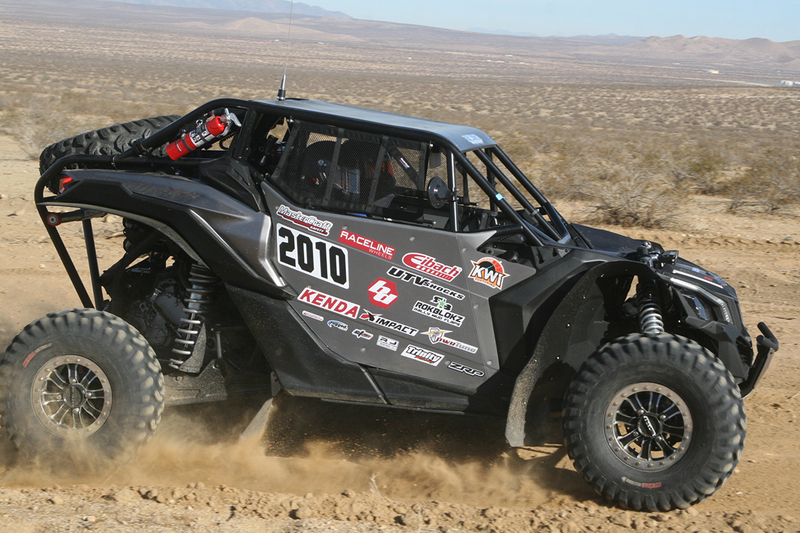 However, it didn’t take long for Blais to get back to racing and two years later he showed up to an AVE race in one of those new-fangled UTVs/SXSs…whatchamacalits… to race in a Gran Prix. Then he dropped out for a while. A few years went by, while Chris concentrated to get his business going (Blais Racing Services) and well established. Cut to this past weekend, when he showed up with a brand new, tricked-out, super-fast Can-Am X3, ready to get back into the heat of competition. He did so with butterflies in his stomach, I am sure, but with the dedication that brought him to the moment. His performance at this 150-mile race earned him second Overall and second in the Pro Turbo Class. What a comeback! You can well imagine the smile on Chris’ face at the finish. You know he had once again conquered another obstacle and proved that character wins every time. He finished in a time of 2:59:47 hrs. with Navigator Jeremy Grey, who was also beaming from ear to ear at their accomplishment. SPT TURBO – 1st went to Christian Hall, Pam Hall, and Josh Perkins. After the race, Matriarch, Lois Peralta, and staff set up several tables of “munchies,” which also featured cold beers and Lou’s famous Mucha Margarita Muchacha, to the delight of the crowd. The awards for the day’s race were handed out first. They were was followed by the 2017 Year-End Awards. Many of the receiving racers were on hand but a few did not make it to the event so either the awards were picked up by fellow racers to deliver in person or they will be back at the office for future disposition. The special PERSON OF THE YEAR award (Lois’ and Lou’s pick only) went to Aaron Wedeking of PRP Seats. To reiterate, it was a near-perfect day for racing and according to Lou Peralta, race organizer, any day when there were no injuries or incidents and you can finish a race in daylight, has to be an “excellent day”…”excelentemundo!